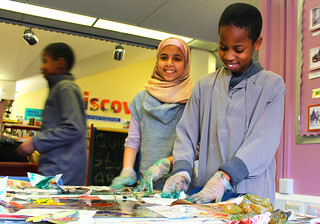 Leicester Print Workshop promotes fine art printmaking to new audiences through our community and outreach work. We work with partner organisations to develop one off or a series of activity. Recent sessions include a 3 hour linocut workshop with women who are homeless in partnership with The Bridge and our Printmaking Men workshops with AGE UK for men over 50. When we can we raise our own funds to offer these workshops and we also work with partners to undertake specific commissions. If you would like to arrange a session or discuss a longer term partnership please contact us via email or phone on 0116 2514174.